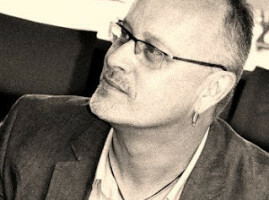 Richard Prowse is Digital Editor-In-Chief at the University of Bath where he leads a 7 strong team responsible for bath.ac.uk. 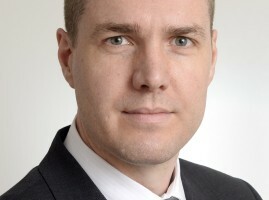 For the past ten years he has led on digital content efforts at top-ranking English universities. He regularly talks at higher education conferences on content strategy, agile content development, and user experience design. Rich most recently featured as an industry expert in .net magazine’s Exchange column. 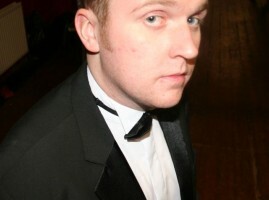 He is also Co-founder of Bath’s first content meetup. Richard gave a plenary talk on “An Agile Approach to Content” from 14.45-15.30 on Monday 28th July and co-facilitated a master class session on “Working in an Agile Way – Content Creation, Delivery and Standards” from 14.00-17.30 on Tuesday 28 July 2015. 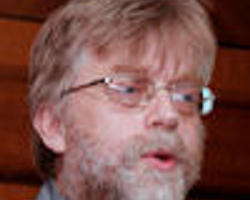 Rich also chaired the session on “Supporting Our Users” from 09.00-10.30 on Tuesday 28 July. 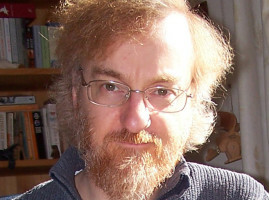 Mike McConnell is responsible for Web & Corporate Systems at the University of Aberdeen. He manages developers responsible for digital, web and corporate applications development. Prior to his current role, Mike worked in Educational Development and before that was a researcher in Information Management. If you are interested in digital transformation, web usability, social media and user experience, especially in higher education, feel free to contact Mike using the contact details given below. Paul gave a plenary talk on “The Challenge Is Institutional: Merging Customer Needs With New Operating Realities” from 09.00-09.45 on Tuesday 28 July 2015. Mike also chaired the final session on “Beyond the Institution” from 09.15-10.45 on Wednesday 29 July. Paul gave a plenary talk on “User Experience Design. How Far Will You Go?” from 09.45-10.30 on Tuesday 28 July 2015. Rob gave a plenary talk jointly with Sam Sanders on “Marrying Creativity with Management Complexity” from 11.30-12.30 on Tuesday 28 July 2015. 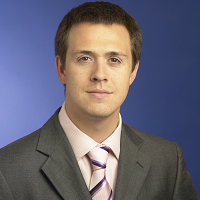 Sam Sanders leads KPMG’s Transformational Change capability within Higher Education. He has over 13 years’ experience of working with major Higher Education and public sectors clients both in the UK and Australia, delivering organisational redesign, performance improvement, cultural change and cost optimisation projects. Sam recently led the organisational improvement component of a joint project, in partnership with the University of Aberdeen and Precedent, to develop a new Digital Strategy for the University. Sam gave a plenary talk jointly with Rob van Tol on “Marrying Creativity with Management Complexity” from 11.30-12.30 on Tuesday 28 July 2015. Michael Webb is Jisc’s director of technology and analytics responsible for developing technology solutions for Jisc’s service development projects. He provides Jisc’s lead expertise in digital technology and analytics innovation for new solutions in higher education, research, further education and skills. His team work on our research and development projects, creating architectures and products for new national service using agile methods to develop solutions from prototype through to service. 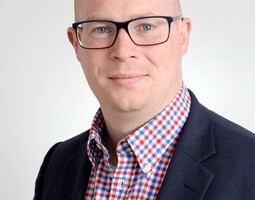 His specialist areas include mobile app development, backend APIs and cloud infrastructure. Before joining Jisc he had twenty years experience in IT Services, including recently as Head of IT Services at University of Wales, Newport, and before that, infrastructure and application provision at University of Plymouth. In addition he has also worked as an independent app developer, with many apps in the Apple, Android and Windows app stores. Michael gave a plenary talk on “Integrating Institutional Web Services with Jisc’s ‘Cloud First, Mobile First’ Platform” from 09.15-10.00 on Wednesday 29 July 2015. Through a career that spans IBM, TMP Worldwide and now LinkedIn, Charles Hardy has focused on leveraging technology to improve (and in some cases revolutionise) recruitment. Charles has worked with many well-known UK, Europe and global organisations to improve brand engagement, candidate experience and recruitment process efficiency. In his current role Charles is responsible for LinkedIn’s engagement with Higher Education across EMEA. Charles gave a plenary talk on “LinkedIn for Higher Education – How Universities Can Leverage LinkedIn to Engage Future, Current and Past Students” from 10.00-10.45 on Wednesday 29 July 2015. 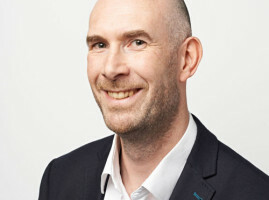 With over 15 years’ experience in new business models and emergent technologies, Niall has created tech startups, product businesses, managed service businesses, analytics businesses and more. Having worked with numerous HE Institutions and consumer businesses from across the UK and beyond, Niall provides a unique perspective on what’s next for the education sector. Niall gave a plenary talk jointly with Dan Babington on “Beyond Digital – The Agile University” from 11.15-12.00 on Wednesday 29 July 2015. 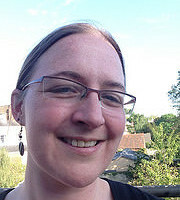 Claire Gibbons is the Senior Web and Content Manager at the University of Bradford and heads up a small team of web professionals as well as the Publications Team. Claire is responsible for the strategic direction and development of the University’s online presence and works with other teams across the University on other digital platforms including social media, apps, digital marketing and new technologies such as iBeacons. Claire has been to a large number of IWMW events and has previously run parallel sessions on XCRi CAP, CMS Project Management and the Cookie Law. 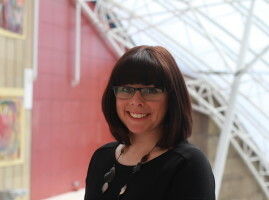 Claire co-facilitated a master class session on “Working with an Institutional Web Team – University of Bradford” from 14.00-17.30 on Tuesday 28 July 2015 and a workshop session on “iBeacons for Recruitment Events” from 16.00-17.30 on Monday 27 July 2015. Claire also chaired the final session on “Managing the Content; Developing the Services” from 11.00-12.30 on Tuesday 28 July. 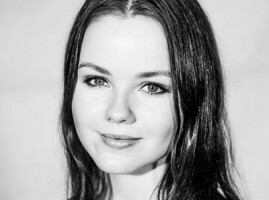 Anna Laurika is the Web Assistant at the University of Bradford. She supports the University’s web community by providing technical advice to CMS users. She is also involved in several large-scale projects, the most recent of which being the design and development the University’s new homepage. Anna co-facilitated a master class session on “Working with an Institutional Web Team – University of Bradford” from 14.00-17.30 on Tuesday 28 July 2015. 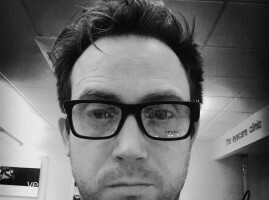 Paddy Callaghan is the Senior Web Developer at the University of Bradford with over 13 years of experience in web technologies from time working at agencies and for the last 7 years in HE. Along with helping the University build its web presence using a variety of tools, he also consults across the University on web related projects with other teams and individuals. Paddy has been to quite a few IWMW events and has recently given a plenary and workshop on Responsive Design and large scale websites. Paddy co-facilitated a master class session on “Working with an Institutional Web Team – University of Bradford” from 14.00-17.30 on Tuesday 28 July 2015. 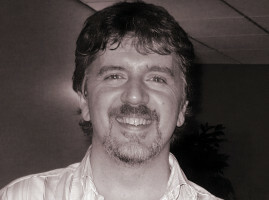 Mike Nolan is Head of Web Services at Edge Hill University where he is responsible for development of external Web sites and a portal service for staff and students. 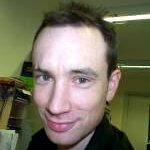 Michael has previously facilitated sessions at IWMW events on a variety of topics and regularly posts about HE web development topics on the Edge Hill Web Services blog. Mike Nolan co-facilitated a master class session on “Working with an Institutional Web Team – Edge Hill University” from 14.00-17.30 on Tuesday 28 July 2015. Rhian Griggs is Web Editor for Student Recruitment and Experience at the University of Bath working as part of the Digital team. She comes to the Higher Education sector with a background in Local Government web, focusing on good practice in the development of local authority websites using extensive evidence-based research. 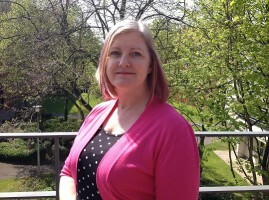 Rhian recently led a web team to help maximise effectiveness in delivering digital services online for public benefit and successfully improved digital services and user experience on her local authority’s website, achieving a 3 star rating in the SOCITM Insight Better Connected 2015 survey. 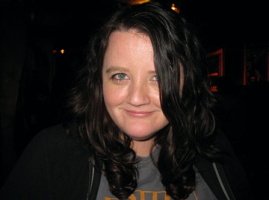 Rhian co-facilitated a master class session on “Working in an Agile Way – Content Creation, Delivery and Standards” from 14.00-17.30 on Tuesday 28 July 2015. 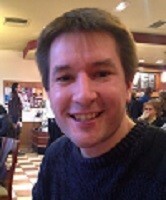 Justin Owen is the Web Editor at the University of Bath with responsibility for Professional Services. 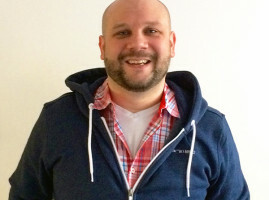 He has 16 years digital experience, working client-side and as a creative agency owner. 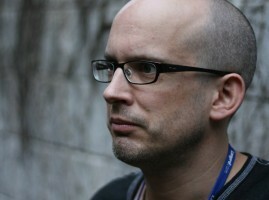 His current focus is content strategy and skills development for large-scale content transition projects. He is Co-founder of Bath Content Meetup where leading content strategists (Kristina Halvorson, Rahel Anne Bailie, Karen McGrane, Margot Bloomstein, Noz Urbina, etc.) present their thoughts on all things ‘content’. Justin co-facilitated a master class session on “Working in an Agile Way – Content Creation, Delivery and Standards” from 14.00-17.30 on Tuesday 28 July 2015. Marcus Lillington is a consultant at and founder of digital agency Headscape. 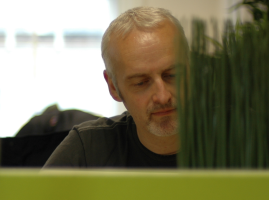 He has over 15 years experience helping clients to do the right thing with their websites and other digital assets. Headscape’s work with over thirty HE institutions has led to a deep understanding of the characteristics and complexities of the sector. Marcus co-facilitated a master class session on “Lessons Learned from Helping HE Institutions Develop their Digital Strategies” from 14.00-17.30 on Tuesday 28 July 2015. 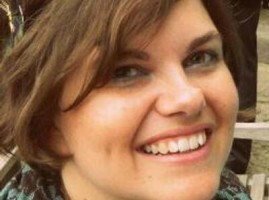 Leigh Howells is a UX Consultant at digital agency Headscape. He has been designing and creating for the web since 1994, and in recent years has started to specialise in User Experience and consultancy work. He’s proud to have been helping websites look better, be more organised and work better since grey backgrounds were the norm. Leigh co-facilitated a master class session on “Lessons Learned from Helping HE Institutions Develop their Digital Strategies” from 14.00-17.30 on Tuesday 28 July 2015. Alan Paull has been involved in the development and maintenance of courses information standards since the mid 1980s, including working on the Superclass and Learndirect subject classification systems and the Sector Subject Areas (SSA) system. 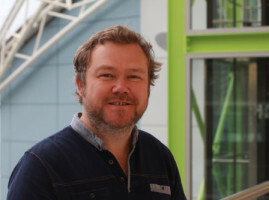 He has worked as a consultant on a variety of projects for JISC, UCAS, the Open University, the University of Nottingham and other universities and colleges. He has provided supporting technical skills to many JISC-funded projects from ‘Specifying an e-Portfolio’ to the Course Data programme. 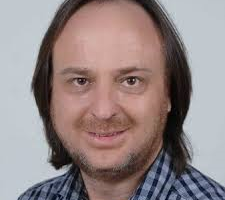 He is a co-author of the eXchanging Course Related Information (XCRI) eProspectus standard and has recently worked on several XCRI projects, including the XCRI Implementation Models (XIM) Project that synthesised experience gained from early XCRI work. Current work is primarily focused on XCRI-CAP PG national roll-out, including information management issues around XCRI-CAP in conjunction with Graduate Prospects, and the HEDIIP new subject coding project (HECoS), in association with Cetis. Alan also designs and publishes board games. Alan co-facilitated a workshop session on “A Revolution in the Exchange of Courses Information: The national rollout of XCRI-CAP for Postgraduate course marketing information” from 16.00-17.30 on Monday 27 July 2015. Helen Sargan has been a webmaster since 1994, and in IT since 1990. A career before that as an editor in scientific and medical textbooks and journals allows a pre-digital perspective on information. 2012/13 saw the redesign of the University web templates and their installation into Drupal and Plone, and 2014 saw us switch to Funnelback as our site search engine. Currently absorbed in managing and supporting a Plone-based content management service, moving the Funnelback search to a more sophisticated level, and surviving a reorganisation. Helen co-facilitated a workshop session on “All CMSs are Rubbish: Live With It!” from 16.00-17.30 on Monday 27 July 2015. Lisa Jeskins of Lisa Jeskins Training can provide you and your team with training on social media, customer service, presentation skills or train the trainer. 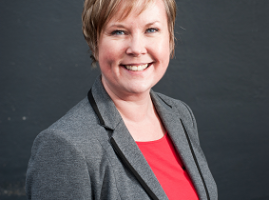 Lisa can also facilitate workshops and away days on communication and team building. You can find more details on the Lisa Jeskins Training Training page. Lisa facilitated a workshop session on “Future-proofing the Web Professional” from 16.00-17.30 on Monday 27 July 2015.